I have been able to gather some film and study a ton of HS standouts strengths and weaknesses over the course of several games. I was able to get a panoramic view of a number of prospects and assess how they play against teams and players of different calibers, of every size and how they handle adversity when things aren’t going as normal. Several of these prospects stood out and consistently showed improvement as seasonal play went on. 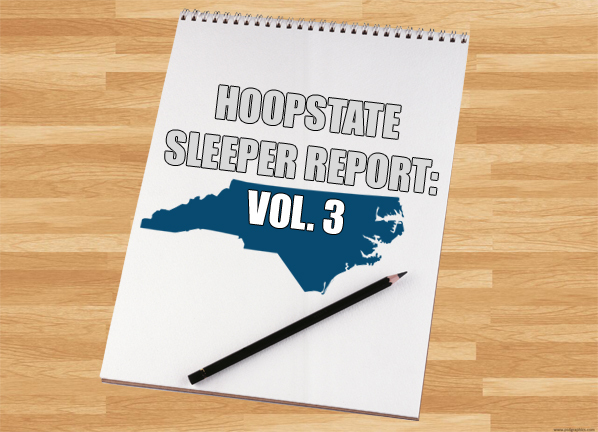 Over the years, many Eastern NC 1A prospects (and others) unfortunately tend to slip through the cracks of college recruiting each season more often than others. 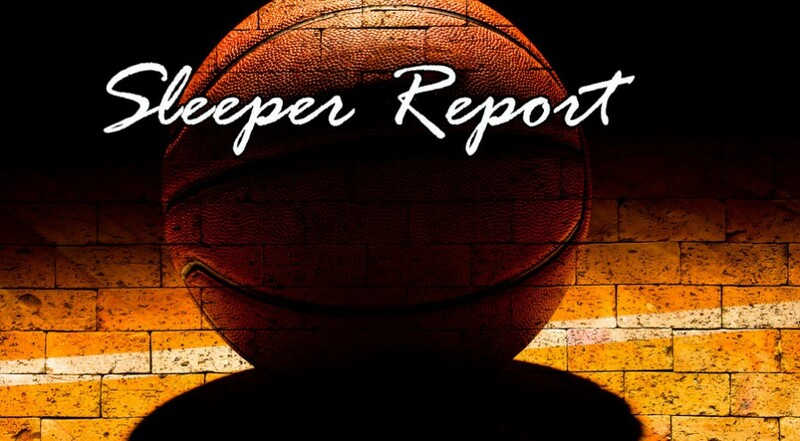 Listed below are 2 standouts competing in the 1A classification that really stood out to me and I believe possess the talent, skill, work ethic and academic excellence to attract Division 1 attention in the immediate future. 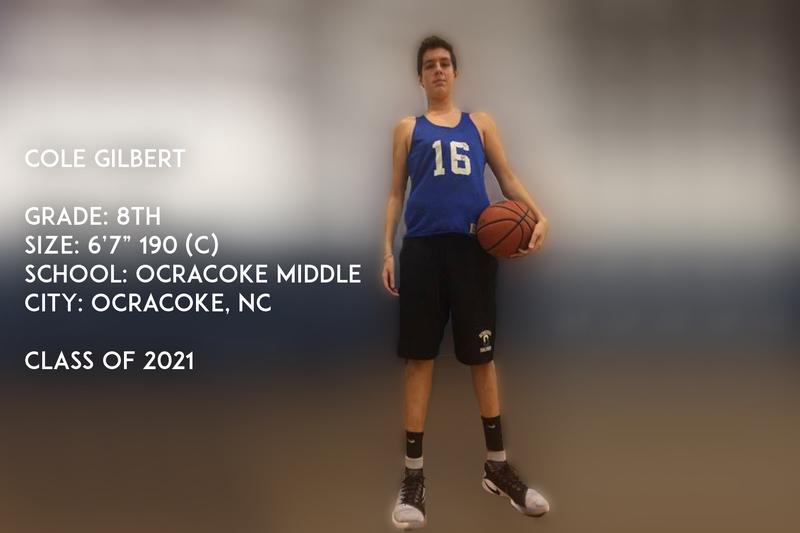 Jack comes from a storied East Carteret HS program that has seen tons of success in recent years. He appears to be next in line to head the attack for the Mariners. Offensively, Jack possesses an air-tight handle and can control the pace of a game from the lead guard position. 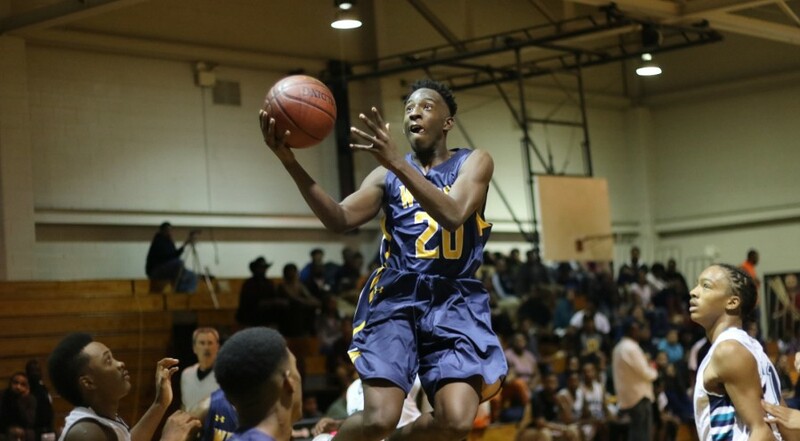 He has a much improved body that enables him to play a physical brand of basketball combined with good speed. Excellent rebounder from the point guard position and matches up well physically with some bigger athletic combo guards. When in attack mode, he’s extremely difficult to contain due to the combination of his marksman 3 point shooting ability, handle & strength. When he pushes the tempo it often results in easy trips to the charity stripe where he converts around 90 percent of his attempts. Defensively, he does an excellent job playing passing lanes & anticipating in passing lanes. Over the course of his junior season, he improved exponentially all around. However, I would like to see him convert more around the basket over longer defenders. He has no issues creating for others or getting into the paint. Should he begin converting more contested shots around the basket, he’ll efficiently put up huge scoring outbursts on a nightly basis without forcing the issue. Improving his core would better his body control around the basket and defensively it would help him to stay low and harass bigger guards with his ball pressure. 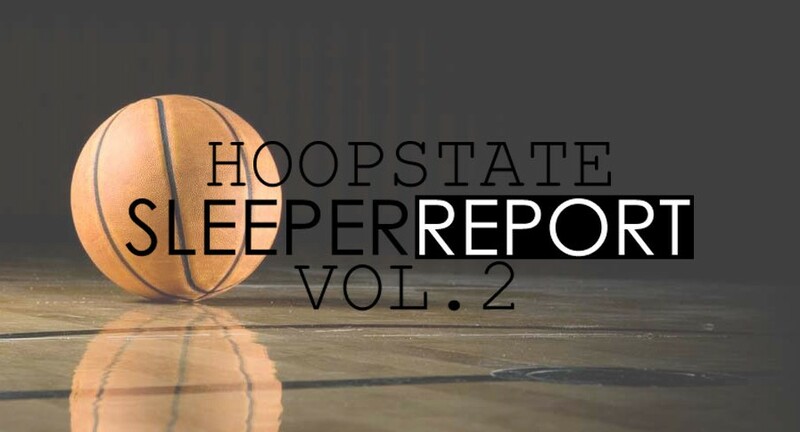 Low to Mid-Major D1 schools should check in now to do their own further evaluations. I will not be surprised to see several D1 programs pull the trigger as his senior season progresses. Marcus is a young wing that is loaded with potential. At the moment, his bread and butter is in catch and shoot situations where he is extremely consistent and deadly from beyond the arc. An elite marksman from mid-range and from three-point range. He has also shown the ability to handle the basketball in spurts, running the offense and directing traffic when necessary. In transition, he can handle the ball well enough to push the ball and make the correct play, executing excellent passes. Defensively, Marcus has a ton of length and changes a lot of shots on close-outs. In the post, he stands his ground and doesn’t bite on head fakes often. He is only 15 years of age. Young for his class and coming off of an 6 inch growth spurt over the past year. As with most prospects that go through extensive growth spurts, Marcus is still adjusting to his newfound lengthy frame. He must continue to work on his strength and conditioning while improving his end to end speed and leaping ability. When on the perimeter, wings that possess above average quickness will tend to drive it right at him where he often times is caught standing too upright. He must strive to stay low to move his feet and use his length and quick hands to his advantage defensively on the wing. Should he continue upward in developing more explosiveness while gaining valuable experience with his HS team, I expect his recruitment to pick up steam. Has all of the tools and skill to develop into a versatile wing man with great size and uncanny shooting ability for a player with his size & age. Jadakis Bonds has a ton of potential. Only a sophomore, he has very good length, size, athleticism, passing ability and a strong basketball IQ for a sophomore wing. He plays for a very well coached Riverside High School in Williamston, NC and really began to step his game up as conference competition began heating up. Remember the name. 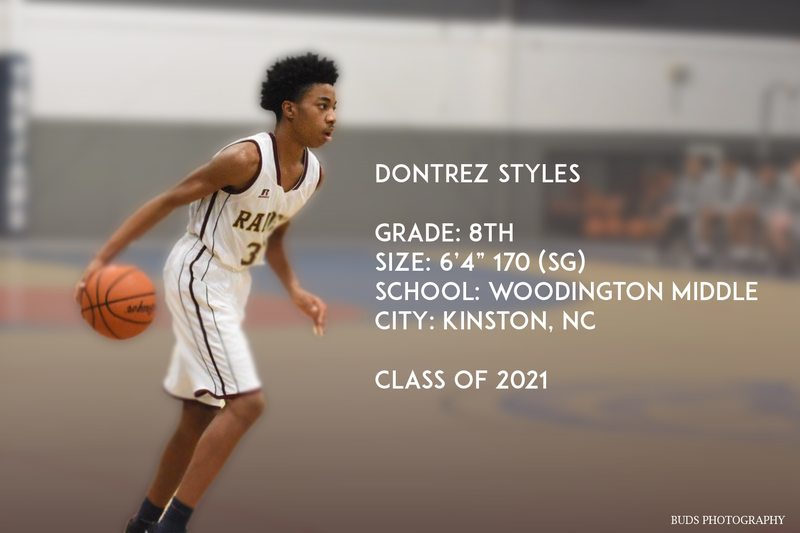 If this kid continues to work hard on his game and grow into his body, he could become an extremely versatile wing prospect in the loaded NC Class of 2018! Versatility – Jadakis as of right now can play and excel at multiple positions on the high school level. As a guard he does a solid job pushing the ball in transition, passing the ball ahead and driving it strong to the basket for finishes at the rim. When he plays on the wing, he uses his length, a variety of hesitation moves and speed to get around bigger defenders. When matched up with smaller defenders, he rises up over them for floaters and jump-shots. Defensively, he’s very active and uses his length well to get deflections, steals, long rebounds and weak-side blocks. Wreaks havoc in zone defenses and works hard in man to man. Slashing Ability – Extremely difficult to prevent from driving to the basket… His length, reaction time and body control allow him to consistently get in the paint using minimal dribbles. His first step is above average and puts a ton pressure on defenders to be keyed in when he catches the ball. Doesn’t leave much room for error and does a great job attacking defensive closeouts. Shooting – At this stage, Jadakis is more of a shot maker than he is a shooter. His form is unorthodox and he has an inconsistent release point. This results into dry shooting spells along the perimeter and a low free throw percentage. If he works hard in the off-season and transforms himself into a legit threat shooting from the outside and from the free-throw line, it’ll take his already versatile overall game to a new level. Strength – Bonds plays strong for his size, but could use some time in the weight-room. Bigger wings tend to try and body up with him on both ends. Offensively this leads to him attempting awkward floaters, tough contested layups and losing the ball on drives, resulting in turnovers. On the defensive end, stronger wings aim to drive and attack him, forcing him into cheap fouls and knocking him out of position for defensive rebounds. Gaining strength combined with his length and versatility should enable him to overcome these issues early on in his HS career. Depending on how hard Jadakis works in the off-season will determine how good he’ll be next season. 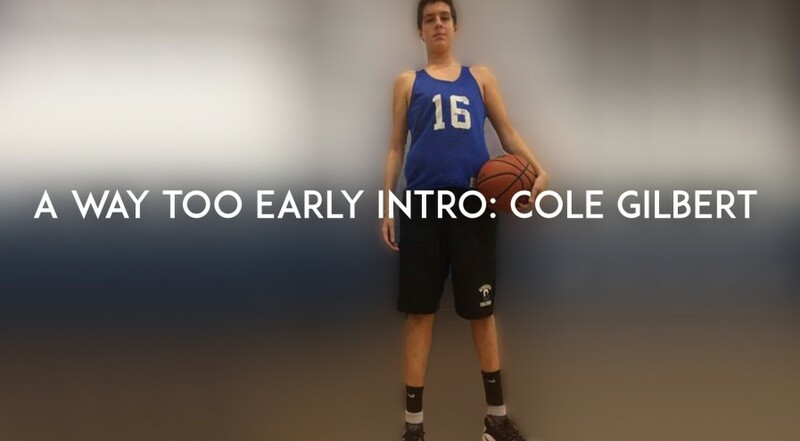 He has all of the tools to develop into a great and extremely productive all around player. It’s going to be fun to watch his development over these next few years! 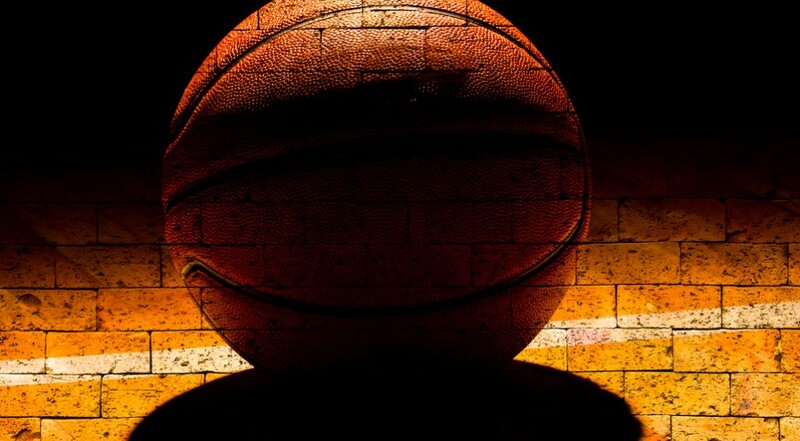 Playing for a small 1A Weldon High School is part of the reason he has managed to stay a virtual unknown, despite averages of 17.7 points, 4.3 rebounds, 10.1 assists and 3.3 steals per game. Coaches should take a closer look at Koraan Clemonts. A year young for his class with loads of potential, he could end up being a huge steal of a prospect at the next level. 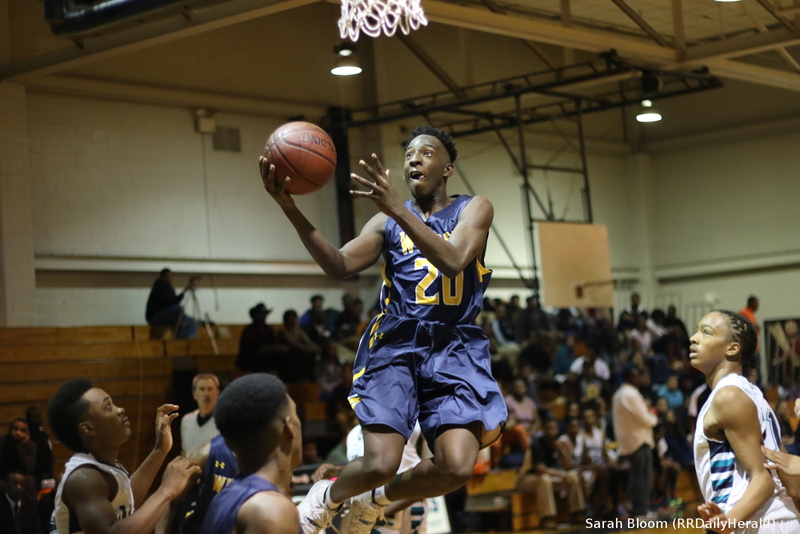 Passing – Koraan is very unselfish and always has his head up with the ball. He’s able to make pinpoint passes through tight spaces, convert solid post feeds, throws excellent lob passes and is an exceptional outlet passer as well. Even when pressured by multiple defenders, he’s able to slip passes through to open players in the paint and around the perimeter with great consistency. Currently leading the state of NC in assists again with 10.1 assists per night. 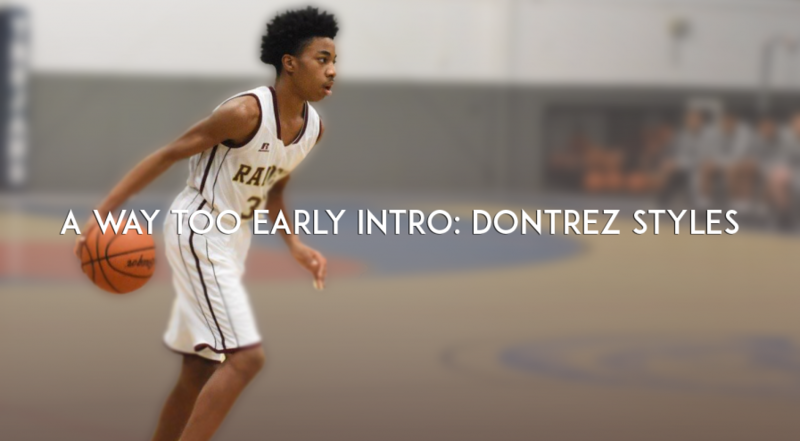 Quickness/Athleticism – He is extremely quick and strong with the ball. 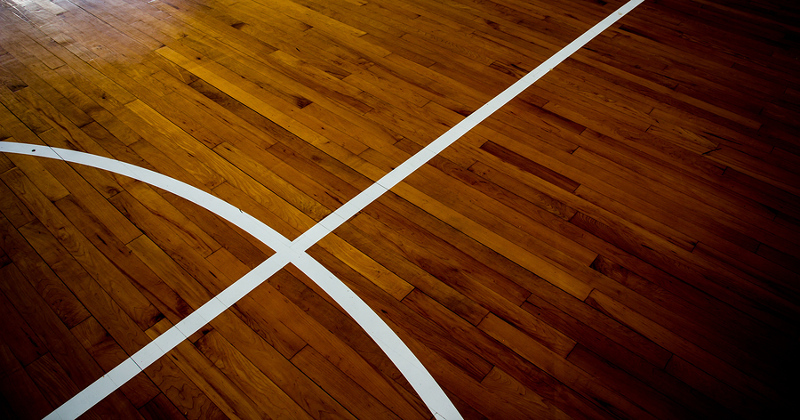 Only needs a split second to penetrate a defense off the dribble. Has a very minimalistic approach to getting into the paint, utilizing pass fakes, head-fakes to throw off defenders and jump stops. Extremely efficient with his quickness, rarely utilizing more than 3 dribbles before splitting defenses and going by defenders. Has a very solid hesitation and crossover with either hand and bursts to the rim off the dribble before defenses can react to him without fouling. Defensive Tenacity – Excellent defender. Very aggressive approach on defense and harasses ball-handlers with little to no remorse. Possesses abnormally long arms and big hands for a 6’1” guard. His length allows him to really frustrate ball handlers in man-to-man as well as in zone defenses. Doesn’t seem to get tired on either end. Consistently wears out opposing guards and turns their frustrations into long passes and steals for his team. Shooting – At this current stage, he typically drives all the way to the rim for a shot or lets it fly from 3 point range. He’s a decent shooter, but he’ll need to develop a better mid-range shot and improve on his 3-point shot to really be effective early on at the next level. (LM Division 1 or High D2) He has a solid form, so repetition will help. He’s shown in multiple games to be a clutch performer at the free throw line, but he could stand to work on his free throw shooting as well. Strength – For a player that gets in the paint so often, he’ll have to get stronger or bigger defenders will continue to bump him on drives, throwing him off balance. He has a frame that looks well equipped to put on muscle. Has seemingly gotten more athletic as the season has progressed, driving to the basket for dunks now, so that is a promising sign. Already a solid leaper. Putting in the time to develop a stronger core, upper body and lower body could make him a nightmare physically for opposing guards on both ends and will help benefit him in the long term. A year young for his class. A year of acclimation to college speed and physicality would do him well. D2’s definitely shouldn’t let this kid slip away.